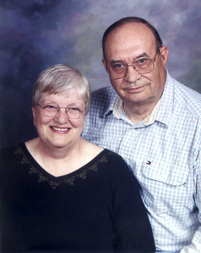 Toy Farmer Ltd. was started by Claire and Cathy Scheibe in 1978. They started with Toy Farmer magazine as a four-page black-and-white newsletter that reached 17 subscribers. Today Toy Farmer magazine along with Toy Trucker & Contractor magazine reach thousands of people monthly worldwide. They were also instrumental in starting the National Farm Toy Show in Dyersville, Iowa, which is the first full weekend in November, the National Toy Truck ‘N Construction Show in Indianapolis, Ind., in August and the North Dakota Farm Toy Show in LaMoure, N.D., each Father’s Day weekend. In addition show models are produced for each national show, along with various other projects. After Claire’s death in 2000, Cathy, along with her family and staff, has continued to build Toy Farmer. Through the years the magazine has gone from black-and-white to full color. There have been numerous updates to their web site toyfarmer.com, and in 2013 they also went digital with their magazines, allowing subscribers options for reading the magazine and ordering product. Several shows are attended each year by Cathy and staff where they can meet current subscribers and introduce the magazines to new subscribers.